Colorado's ski industry is responsible for contributing $4.8 billion to the state’s economy each year. As a major player in this thriving industry, Colorado Ski Country USA is the trusted and authoritative voice in Colorado snow sports. 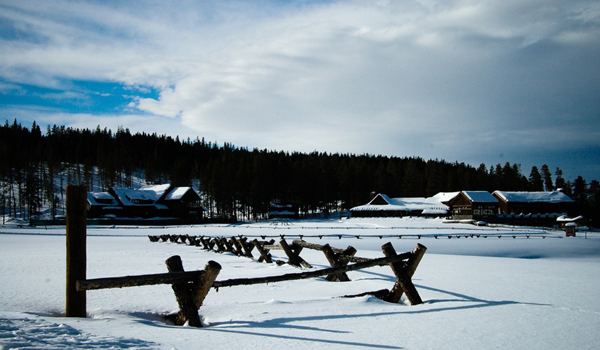 Is your organization is impacted by Colorado's snow sports industry? Join Colorado Ski Country USA as an Associate Member, and reap the benefits as we collectively help grow Colorado's winter sports industry. SCROLL DOWN TO VIEW A LIST OF OUR CURRENT ASSOCIATE MEMBERS. With 23 ski areas around the state, Colorado Ski Country USA has a mountain for everyone. Through effective communications, marketing and public policy, Colorado Ski Country USA inspires millions of domestic and international visitors to experience Colorado's winter first hand. In Colorado, there is more than just a mountain for everyone; there are restaurants, bars, lodging, rental shops and endless adventures to please all of our visitors. Together, these vacation elements provide guests with authentic Colorado experiences that keep them coming back for more! Interested in becoming an Associate Member? Questions? Download the Application Form or contact Kim Soderholm at 303.866.9728 or kim@coloradoski.com. Colorado Ski Country USA offers run-of-site, geo and behavioral targeted advertising on ColoradoSki.com. Our website reaches more than 2M viewers interested in skiing and snowboarding in Colorado each season. We offer a wide range of options that are flexible and tailored specifically to the needs of each advertiser. For advertising opportunities, please contact Mike Schmidt at Mike@coloradoski.com. Christy Sports, based in Lakewood, Colorado, is a family owned business with more than 50 years of experience in specialty ski and snowboard retail. Since 1958, their commitment to excellent customer service has garnered a loyal customer base, allowing for a steady growth in premier ski destinations throughout the Rocky Mountains. With more than 48 locations throughout Colorado and Utah, Christy Sports is focused on providing quality products at competitive prices everywhere you want to ski and ride. Colorado Cross Country Ski Association is the go-to source for information about Cross Country Skiing in Colorado. Are you looking for a Nordic center featuring expertly groomed trails, a vacation getaway at a Dude Ranch or a weekend getaway to the woods? Visit our website to locate your perfect location, upcoming events, news and discounts. Credit Union of Colorado provides a full spectrum of financial products and services, including checking and savings accounts, online banking, low interest auto loans and credit cards, lower fees and services like e-Alerts. With 15 statewide branches, members include state employees, retirees and their families, employees and officials of Colorado counties, school districts, municipalities and special districts, as well as students, faculty and alumni of many Colorado colleges. Official sponsor of Colorado Ski Country USA. DIA is one of the country's most accessible and affordable hubs. This is an airport with skiers and riders in mind- complete with a new regional jet facility with service straight to your favorite mountain airport. Smooth traveling makes for happy skiing! Hit the slopes smiling with these helpful travel tips from Denver International Airport. HEAD/Tyrolia, headquartered in Boulder, Colorado is proud to be the official ski partner of Colorado Ski Country USA. Together, we strive to grow participation in the snow sports we all love, by encouraging first-time skiers and riders to get on-snow. As a supporter of the CSCUSA Passport Program, our objective is to support the youth of today so that they can become the lifelong skiers and riders of tomorrow. Since 1950, HEAD has driven innovation, quality, and safety, continually improving the sport of skiing by manufacturing the best-performing alpine equipment on the market. HEAD products are endorsed by some of the world’s top athletes, including Lindsey Vonn, Ted Ligety, JT Holmes and Aaron Blunck. Whether it’s your first run ever this season, or your 50th consecutive year on the slopes, we look forward to seeing you out there! Hertz, the world's leading vehicle renting organization, operates from approximately 8,700 locations in 150 countries worldwide. Hertz is the largest general use single car rental brand in the world, and the number one airport car rental brand in the U.S. with many locations throughout the globe. Product and service initiatives such as Hertz Club Gold, Gold Choice, Virtual Kiosk Technology, 24/7 Rental Technology, eReceipt, Carfirmation, NeverLost GPS, Sirius satellite radio and unique cars and SUVs offered in our Collection Series, sets Hertz apart from the competition. Hogan Lovells is a leading global law firm providing business-oriented legal advice and high-quality service across it's breadth of practices to clients around the world. Inntopia connects the software systems that manage lodging, skiing, golf, and other functions into one-stop shopping, automated marketing, and powerful business intelligence. Built to solve the complex challenges of destination resorts, Inntopia's software and expert consulting are used to improve the bottom line in every corner of the travel industry. Leitner-Poma of America offers a complete line of cable transport systems, including surface lifts, chairlifts, gondolas, MiniMetro urban transport systems, passenger and industrial trams, incline elevator, etc. Leitner-Poma provides engineering, manufacturing, sales, service (including electrical and mechanical upgrades, technical support, gearbox inspections/repairs) and installation for systems throughout North America, New Zealand and Australia. Leitner-Poma has installed aerial and surface systems all over the world and has established its position as a market leader. The business and commercial law practice of Lewis, Bess, Williams & Weese P.C. has significant experience with ski resort development and operations in Colorado and in other states. Firm attorneys provide practical and effective legal counsel for resort operators, lenders, trade associations, and others in the areas of environmental and permitting, Forest Service lands, financing, corporate and business transactions, real estate, litigation, and employment law. With more than 50 years of experience, MountainGuard is the oldest multi-line program providing insurance to the ski industry in North America, and continues to lead the industry in providing coverages, claims handling, and loss control services. Whatever your resort size you can count on us for reliable insurance solutions. Raquelitas Tortillas is Colorado's most innovative baker of flour tortillas, corn tortillas and tortilla chips. Using 100% wind power, Raqelitas Tortillas creates handcrafted tortillas using premium ingredients that are flavorful, locally sourced and nutrionally responsible. RRC Associates and our parent company Smith Travel Research (STR) offer customized services with an emphasis on mountain resorts. Specializations include market research and focus groups, strategic planning, and consulting. Safehold Special Risk is an insurance services provider with custom programs for the snow sports industry including, property, liability, automobile, employee benefits, and workers' compensation coverages, coupled with claims management, loss control, actuarial, and captive management services. SE Group specializes in consulting services tailored to resort communities: mountain planning; multi-season recreation; real estate planning & design; environmental analyses & permitting; strategic planning & market positioning; financial feasibility studies; operations efficiency & opportunity assessments; land use and community master planning; facilitation and public engagement. SnowSports Industries America | SIA is the national not-for-profit, North American member-owned trade association representing the winter sports industry. Established in 1954, SIA annually produces the SIA SnowSports Trade Show, the largest winter sports industry trade show and networking environment, while delivering invaluable data, support, marketing products, services and programs to the industry. SnowPak is in the business of getting skiers out there riding the white stuff – we team up with mountain experts from across the world to bring you insider knowledge of ski resorts, while at the same time helping you plan and book your ultimate snow vacation! Our goal is to be the one stop resource for everything you need for a winter trip of a lifetime. Spyder is an international performance apparel brand with iconic, innovative product design. Headquartered in Boulder, Colorado, Spyder apparel and accessories can be found worldwide in over 40 countries. Pioneering its first padded ski sweater in 1978, and sponsoring the U.S. Ski Team since 1989, Spyder builds technologically advanced gear for elite athletes and modern consumers. With thoughtfully designed, purposeful collections, Spyder fuses technology, form, function and fashion. Innovation and technology are the foundation of the brand’s DNA, leading Spyder to believe in everyone’s unlimited potential. The world’s largest supplier of fan and air/water snowmaking systems and equipment. TechnoAlpin USA has North American operations based in Denver, CO.
Visit Denver (formerly DMCVB) is a non-profit organization dedicated to promoting and marketing the Denver Metro area as a visitor and meeting destination. Check out Denver.org for information on visiting the Mile High City, contacts, photos and the area's most extensive events listing. Visit Telluride is the Official Tourism Board for the all-season ski, snowboard, and summer resort of Telluride, CO, USA. Check out the Telluride and Mountain Village Visitor Guide. Check out Visit Telluride's Official Visitors Guide for key information for signature events, lodging, activity, dining and shopping. The guide works in concert with the official website of the Telluride Tourism Board, VisitTelluride.com. Open 7 days a week,10 a.m. to 7 p.m.